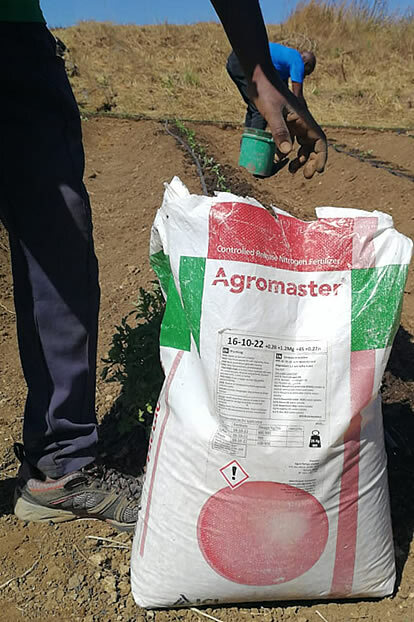 Over a thousand farmers in southern Tanzania have been trained in balanced and precise fertilizer use through visits to thirty demonstration plots set up by ICL Fertilizers as part of a programme to strengthen the fertilizer input supply system in East Africa. Raising and maintaining agricultural productivity sustainably is a fundamental development goal for Africa. It is also the focus of the Feed the Future initiative, one of USAID’s regional activities to improve food security in East Africa. It aims to help smallholder farmers increase productivity of key staple foods and cash crops, and to link those producers to viable markets. As one of the world’s largest fertilizer companies - providing products to farmers, growers and manufacturers on five continents - we were delighted that USAID invited us to collaborate with them. Our shared aim is to increase productivity and profitability of horticulture in two provinces of southern Tanzania by increasing yields of major crops by 40%. According to a World Bank report, fertilizer use must increase in Africa if the region is to meet its agricultural growth targets, poverty reduction goals, and environmental sustainability objectives. But the report stresses that fertilizer use should be encouraged in ways that are technically efficient, economically rational, and market-friendly. Each of ICL Fertilizer’s thirty demonstration plots regularly hosts Farmers' Field Days. The groups of visiting farmers get advice on balanced and precise fertilizer use alongside other useful information and inspiration to take away and put into practice on their home farms. To help ensure farmers have at hand all the available information they need about fertilizers, USAID has supported the production of explanatory literature in local languages. Most recently this has included the publication of the Polysulphate leaflet in Swahili. During this 2018 growing season the participating farmers have already seen visible improvements in crop size and health from using ICL Fertilizers. The main harvest, in November, will be the main opportunity to measure the increase in yields of crops - such as tomatoes, potatoes and onions - and improvement of farm incomes. Meanwhile we can report that the initiative is already well on its way to reaching the target of involving over 3000 small scale farmers and forty local agricultural input suppliers. At ICL Fertilizers we hope this work in southern Tanzania will prove a powerful example of how lifting agricultural productivity can be the main mechanism to reduce rural poverty which, without adequate crop nutrition, can remain prevalent and persistent.